The Rose Garden first heard Pierson at the Northeast Regional Folk Alliance Conference, a musical gathering unlike many others, where performers from all over showcase their work. Pierson, an award-winning pianist, multi-genre singer/songwriter, multi-instrumentalist, arranger, bandleader and performer, stood out. From New Orleans-style jazz and blues to rousing Americana and poignant folk narratives, Pierson’s memorable, intimate, and cathartic live performances feature her virtuosity on piano, her bell-tone vocals and her commanding yet playful stage presence while wielding a tenor banjo, melodica, ukulele, or acoustic guitar. 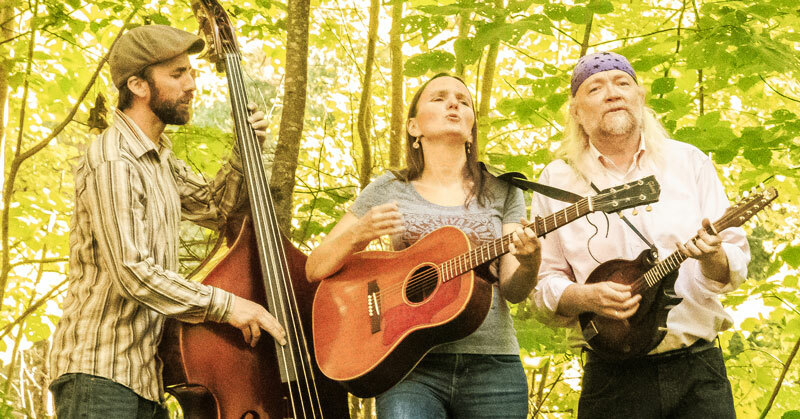 Joining her at the March 24 show at the Rose Garden will be the rest of her acoustic trio: Davy Sturtevant on guitar, mandolin, dobro, fiddle, cornet, and Shawn Nadeau on bass. “There’s a real pureness to her voice as she leads us through intimate corners of her experiences and tells stories with a Joni Mitchell kind of edge…,” writes The Portland Press Herald. 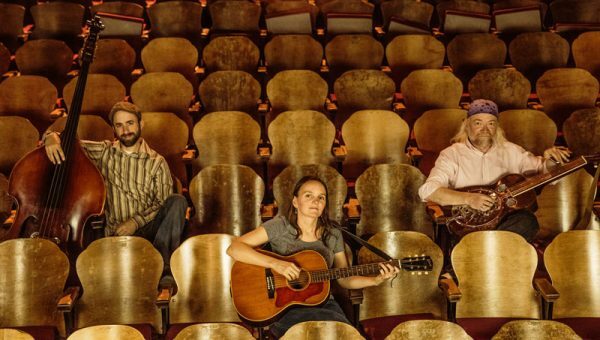 After enjoying modest success with the release of several solo records (“Make It Mine” in 2010; “The Open Road” in 2012; “The Hard Work of Living” in 2013; “Motherless Child” in 2014), Pierson burst upon the national folk scene in 2015 with her trio. The trio’s debut EP, “Still She Will Fly,” was released in 2015. Its title track was the #2 single on the folk radio charts for that year, and three other songs were also in the Top 100 singles on folk radio. The trio’s full-length debut, “Singin’,” was released in 2017, the 10th release on Heather’s own record label, Vessel Recordings. Throughout her colorful career, Pierson’s eclectic skill set continues to propel her onto concert hall stages and into barrooms, coffeehouses, resort hotels, living rooms and churches, performing more than 200 shows a year. The Rose Garden Coffeehouse, is a 501(c)(3) not-for-profit organization in its 29th season of continuous operation. The event will start at 8 p.m. and is held at the Congregational Church, 17 West St., Mansfield, Massachusetts. The doors open at 7:30. It’s wheelchair-accessible and alcohol-free. Tickets can be purchased online at www.rosegardenfolk.com or http://bit.ly/RG18Heather for $16, or for $20 at door. The Rose Garden’s all-volunteer staff serves home-baked dessert items and hot and cold drinks of the season before the show and during intermission.